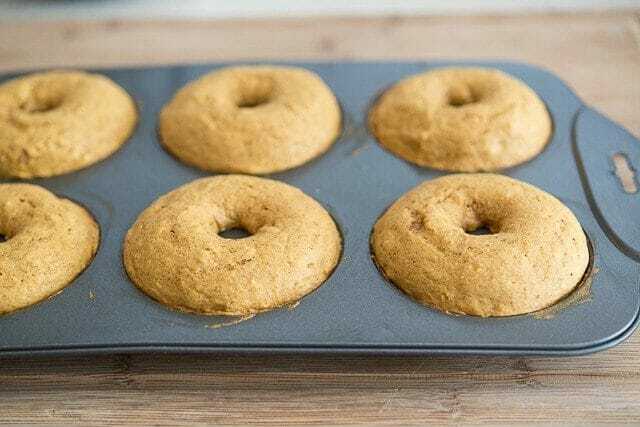 These Brown Butter Pumpkin Spice Donuts are baked, not fried! Nice cakey denseness and old-fashioned flavor. We’ve made it to the season of all things pumpkin! In my mind, the start of pumpkin season is the kickoff for the holidays. It’s when it starts to get cold outside, we start baking delicious things with warm spices, and we start drinking hot chocolate and mulled cider. I love this time of year! This recipe is my favorite doughnut recipe I’ve ever made. It has that old-fashioned doughnut flavor to it, but…it’s baked! When I thought of creating this recipe, I was originally planning to do a fried doughnut, but baking is a lot easier and much less messy. I believe in only setting up the deep fryer when you have to, and this is a situation where you don’t need one. These doughnuts have all the character and deliciousness of a fried doughnut, with no frying required. 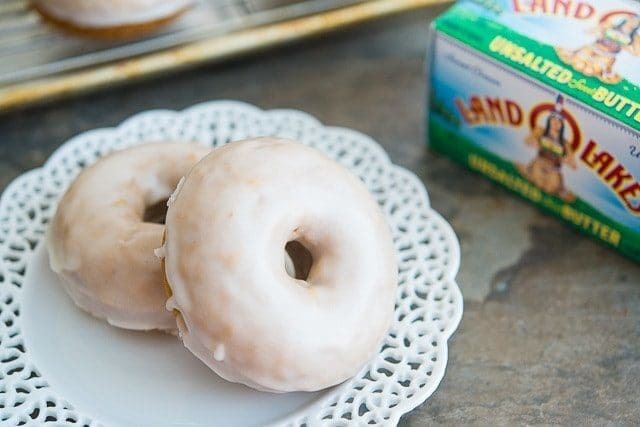 This recipe is my last of the year working with Land O’Lakes in their Kitchen Conversations program, and the delicious flavor and non-fried success of these doughnuts definitely comes from the butter. 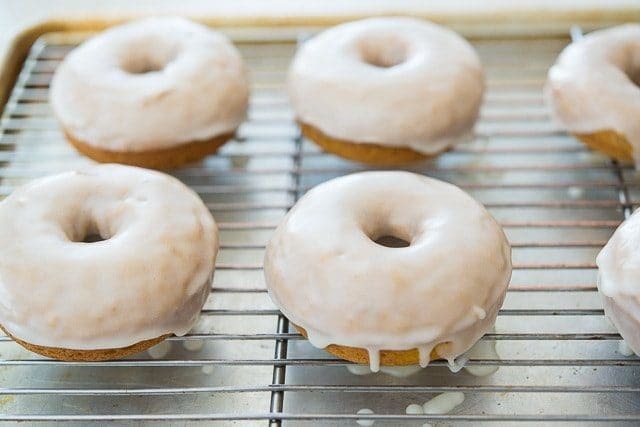 Both the brown butter that’s in the actual doughnut batter and the butter in the glaze that goes on top, which gives it that old-fashioned flavor. To get started on our recipe, we’re going to brown some butter. 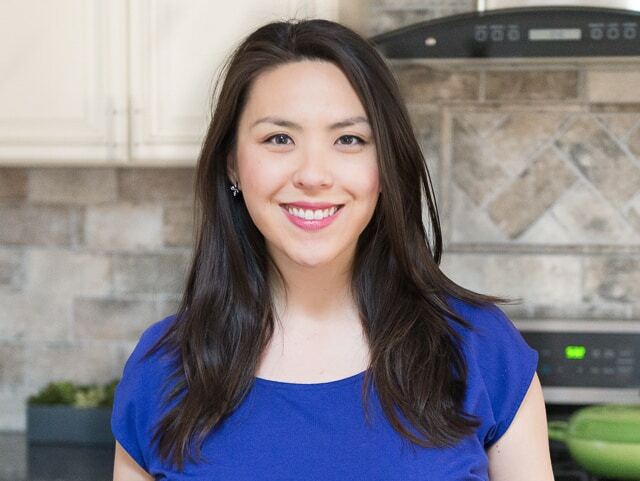 I love adding brown butter to baked goods because it adds a deep, nutty, toffee-like flavor and aroma, and it goes beautifully with the pumpkin spice flavor! Start with a stick of butter and melt it down in a small skillet set over medium heat. Keep cooking it for a few minutes until you begin to see brown specks in the bottom of the pan. Once they appear, pour the brown butter into a mixing bowl to cool down. 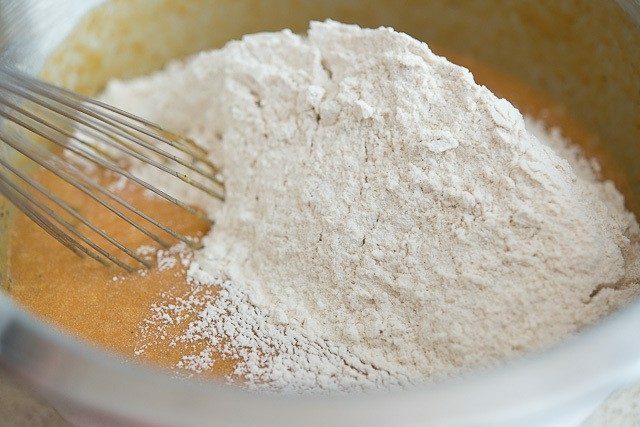 In the meantime, combine your dry ingredients, which are flour, baking powder, baking soda, salt, cinnamon, cloves, and ginger. Set that aside and return to the cooled brown butter. 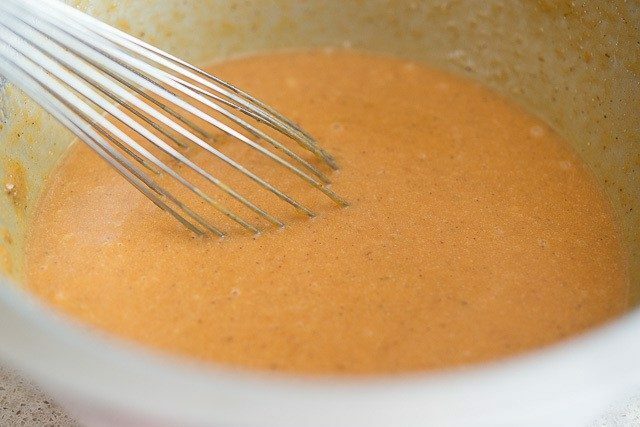 Whisk in brown sugar and eggs until smooth and thick. Then add pumpkin puree and milk. Whisk that together until smooth. Once combined, the batter will be very thick. 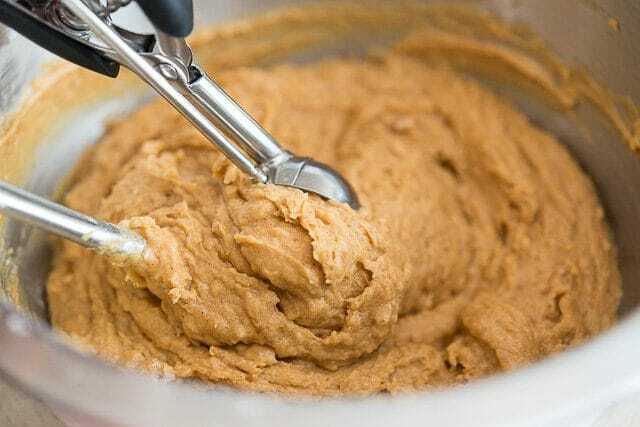 Use a cookie scoop to scoop out portions of the batter. 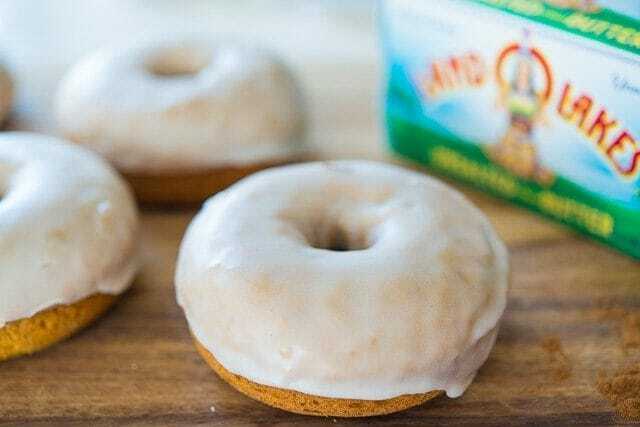 Dollop the scoops into a greased doughnut pan, then smooth them out with a spatula. Bake the doughnuts for 16-18 minutes until they are puffed and pass the toothpick test. 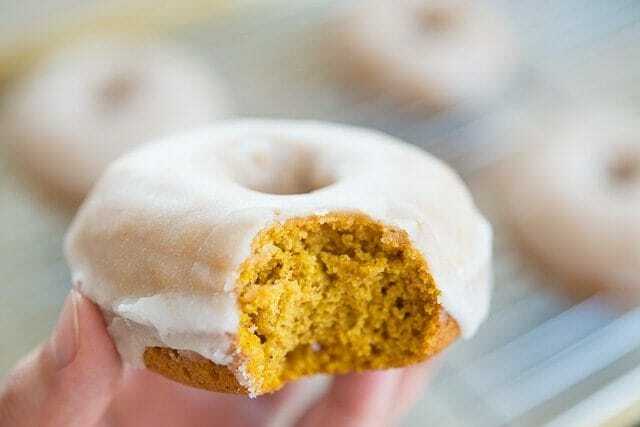 Make a glaze of confectioner’s sugar, melted butter, and milk, and then dip the cooled pumpkin doughnuts into the glaze. Set each dipped doughnut onto a wire rack to drip. Let the glaze firm up for 10 minutes. The doughnuts are now ready to enjoy! Below you’ll find the recipe, and a full instructional video on how to make the doughnuts. Preheat the oven to 350 degrees. 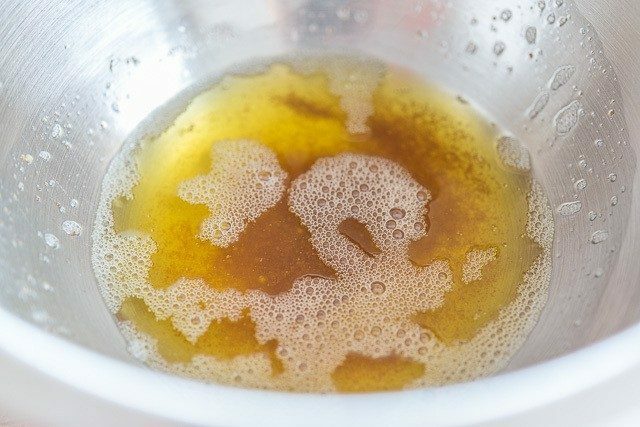 Grease a 6- or 12-count doughnut pan with butter. If using a 6-count doughnut pan, you will need to bake two batches. Start by browning the butter, which should take about 5 minutes total. 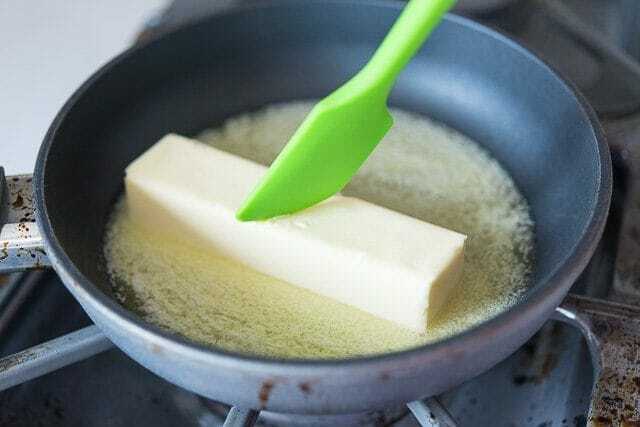 Place the butter in a small skillet over medium heat, and first let it melt. 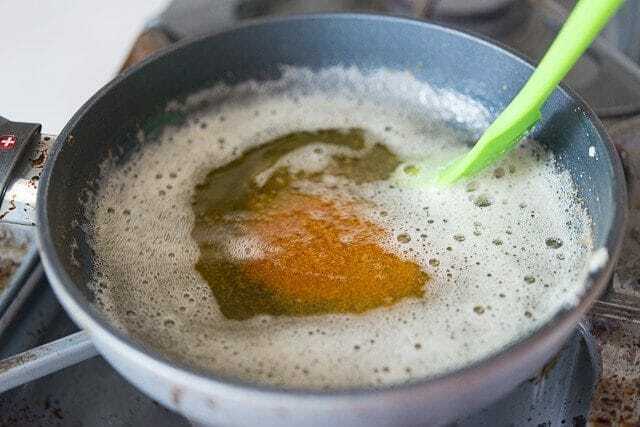 Keep cooking the butter, stirring it with a spatula, until the foam on top begins to subside and little brown specks begin to appear on the bottom of the pan. 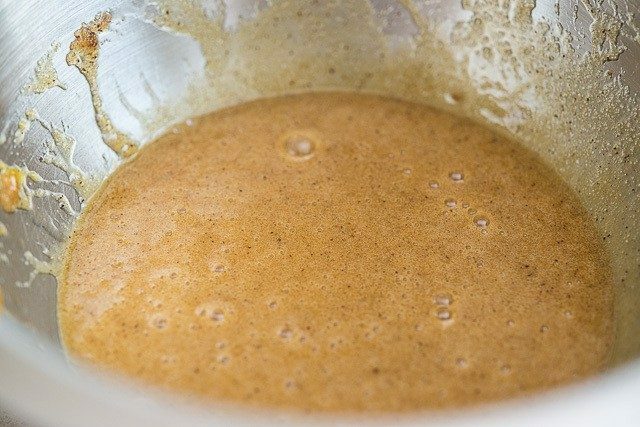 Once the milk solid specks are a deep golden brown, pour the brown butter into a large mixing bowl and let cool. 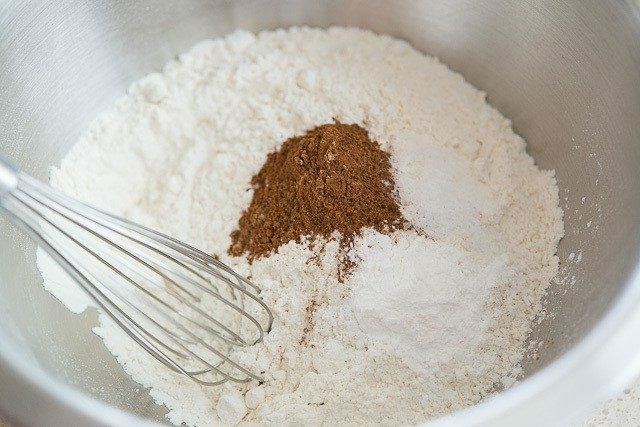 In a large bowl, whisk to combine the flour, baking powder, baking soda, salt, cinnamon, cloves, and ginger. Set aside. Now that the brown butter has cooled, add the sugar and eggs, and whisk until combined. 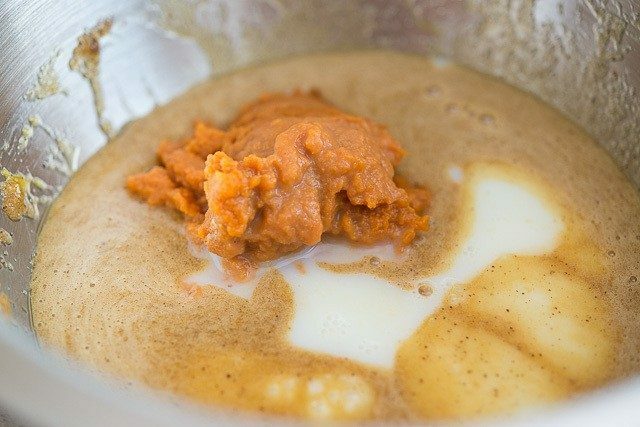 Add the pumpkin puree and milk, and whisk until smooth. Add the dry ingredients to the wet and stir to combine. The batter will be thick. Fill the doughnut wells about 3/4 full with the batter, making sure to smooth them out well with a spatula. Bake the doughnuts for 16-18 minutes, until a toothpick inserted into the center comes out clean. Flip the doughnuts out of the pan and let them cool completely. To make the glaze, whisk to combine the confectioner’s sugar, butter, and milk. Dip the cooled doughnuts into the glaze. If the glaze gets too firm from the butter cooling down, microwave for 15 seconds to melt it again. 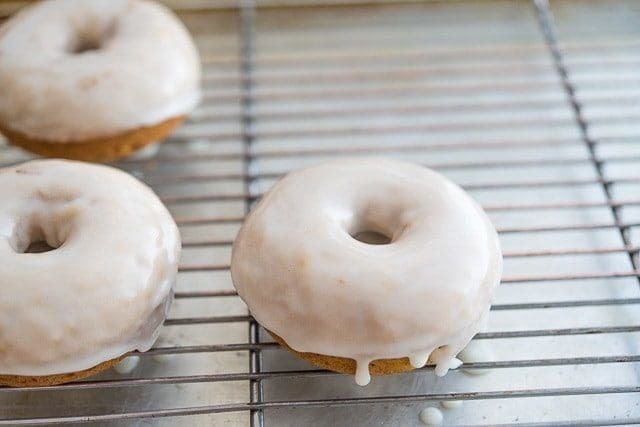 Let the glaze set on the doughnuts for 10 minutes, then the doughnuts are ready to enjoy! 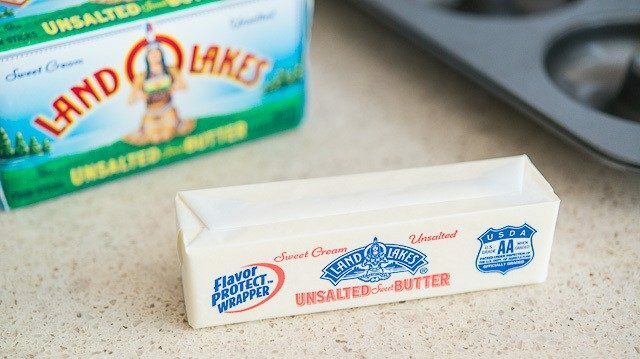 15 Spatulas has partnered with Land O’Lakes for an exclusive endorsement of Land O Lakes® Butter for their Kitchen Conversations blogger program. 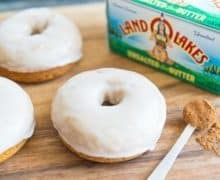 This blog post is sponsored by Land O’Lakes. Love to bake all squash gratins during the fall. Really great flavor for baked donuts! Loved these! They have a great, spongy, but not too delicate texture! 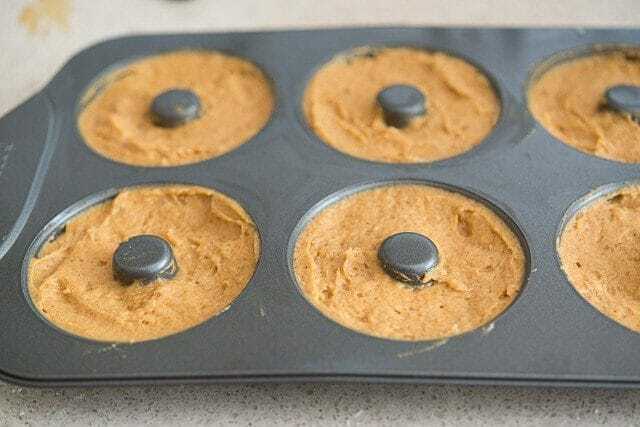 I don’t have a donut pan (and am not going to need one enough to buy one) so I made “donut holes” with my mini muffin pan. I used my 2 Tablespoon cookie scoop (leveled off) and it made 48. I baked mine for 12 minutes. They were delicious! Really happy to hear that, Jen!